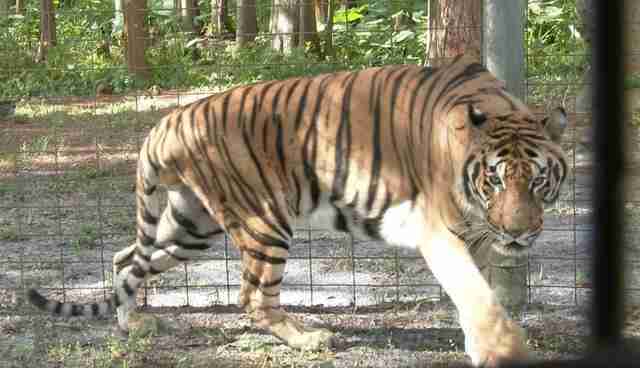 When the circus went underground, the 12 tigers who performed there completely disappeared. For the circus owner, it was a matter of business - Peru had outlawed the entire industry in 2011, forcing operators to take their tours off the grid. For the tigers, it was murder. 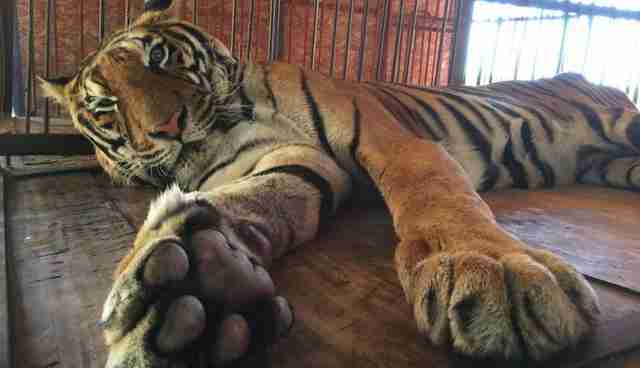 When authorities finally found the fugitive circus, there was only one tiger left alive. "Hoover is the tiger that almost got away from us," Jan Creamer, president of Animal Defenders International (ADI), said in a press release. "The circus went underground and we had to track him down to rescue him from his sad life of pain and suffering." His days on the circus circuit are finally behind him. The 12-year-old tiger who spent much of his life in the most dubious of industries has officially left the building. And now, thanks to the efforts of a legion of animal lovers who arranged his transport, even the continent. Nearly a year after The Dodo first reported on Hoover's rescue, he has made the leap at last to Big Cat Rescue (BCR) in Tampa, Florida, arriving last Friday to a hero's welcome after eight months of meticulous planning. 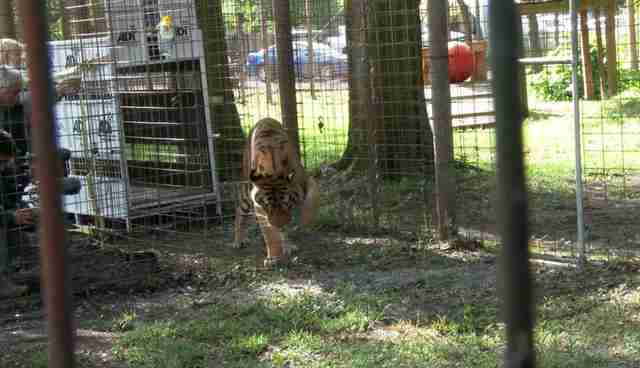 "Hoover is settling in at Big Cat Rescue incredibly well," Susan Bass, PR representative for BCR, told The Dodo. 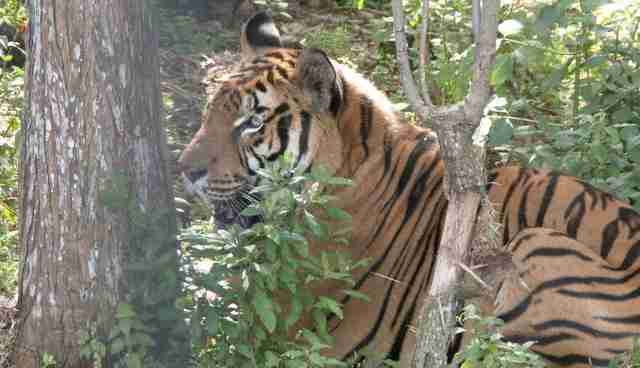 "After taking a few initial laps yesterday morning around the perimeter of his one-acre wooded enclosure to assess any threats, Hoover laid down and relaxed amidst the thick foliage and shade trees." 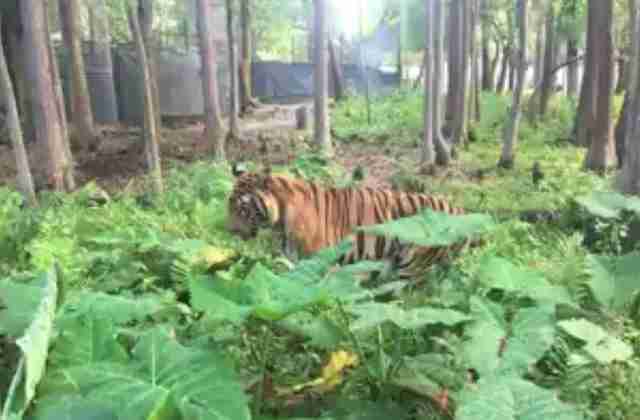 The 350-pound tiger will have all the time in the world to explore his new home, an expanse that includes shady trees, soft grass and even a spring-fed lake. It's a bright new beginning for an animal whose past couldn't be any darker. But for now, every step on his new path is a baby step. Baby steps, Hoover. Apparently the great cat will need a little time to understand his new world. Even the simplest sights - like a body of water - seem bizarre to him. "He was a bit unsure of the lake at first, having never had access to a body of water before," Bass explained. But this tiger's confidence is already burning bright. "He lapped up some water and later even took a swim," Bass added. "He's a very laid-back, sweet boy and we plan to spoil him and make his years at Big Cat Rescue the very best we can." Stretch your feet, Hoover. Life is good now. If you would like to support Big Cat Rescue and its mission to care for animals like Hoover, click here. And you can support Animal Defenders International here.